Bipartisan legislation designed to drive US nuclear innovation including the commercialisation of advanced reactors has gone forward to be signed into law by President Donald Trump after approval by the House of Representatives. Congress has also approved a USD121 million increase in funding for US nuclear R&D for fiscal 2019. Bill S97, the Nuclear Energy Innovation Capabilities Act (NEICA), was passed by the House on 13 September. 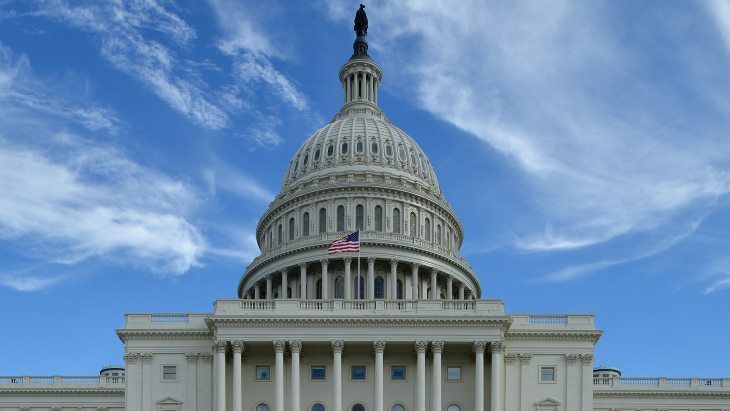 The bill, which would direct the Department of Energy (DOE) to prioritise partnerships with private innovators to test and demonstrate advanced reactor concepts, was passed by the Senate in March. The act authorises the creation of a National Reactor Innovation Center that brings together the technical expertise of US national laboratories and the DOE to enable the construction of experimental reactors. The Nuclear Regulatory Commission (NRC) would partner with DOE in this, enabling the regulator to contribute its expertise on safety issues while also learning about the new technologies. The legislation also directs the DOE to develop a reactor-based fast neutron source for the testing of advanced reactor fuels and materials, and to execute a programme for enhancing the capability to develop new reactor technologies through high-performance computer modelling and simulation techniques. NEICA was led by senators Mike Crapo, James Risch and Sheldon Whitehouse, with co-sponsors Cory Booker, Richard Durbin, Orrin Hatch, Lisa Murkowski and Luther Strange. Crapo said the passage of the legislation underscored the "strong bipartisan commitment in Congress that nuclear energy must be maintained as a reliable, safe, clean and efficient part of [the US] national energy portfolio." Beverly Marshall, vice president of governmental affairs at the US Nuclear Energy Institute (NEI), said the passage of NEICA was a positive step demonstrating Congress' determination to ensure the US commercial nuclear sector has the tools and funding needed to design and deploy the next generation of advanced reactor technologies. "We look forward to the president signing this bill into law and will continue to work with Congress and the administration to help ensure our industry can compete on a level playing field with increasingly sophisticated international competitors," she said. Booker, Crapo, Durbin, Murkowski, Risch and Whitehoue were also among those senators who earlier this month introduced the Nuclear Energy Leadership Act (NELA) to the Senate. NELA aims to boost US nuclear energy innovation by establishing public-private partnerships between federal government, leading research institutions and industry innovators. Also on 13 September, the US Congress approved an energy and water spending package for fiscal 2019 including USD1.33 billion in funding for the DOE's nuclear energy research and development programmes. This is an increase USD121 million over fiscal 2018, the NEI said. "This bill offers funding boosts for a number of industry priorities in research and development and will pave the wave for new breakthroughs," Marshall said. The bills approved by Congress include USD325 million for the DOE's Reactor Concepts R&D programme, which includes advanced reactors and light water reactor sustainability; USD65 million for the Versatile Test Reactor programme to create a sodium-cooled fast reactor to test advanced reactor components and materials, USD20 million for the High-Assay Low-Enriched Uranium, or HALEU, programme; and USD76 million for the Accident Tolerant Fuel programme. Fiscal 2019 begins on 1 October.